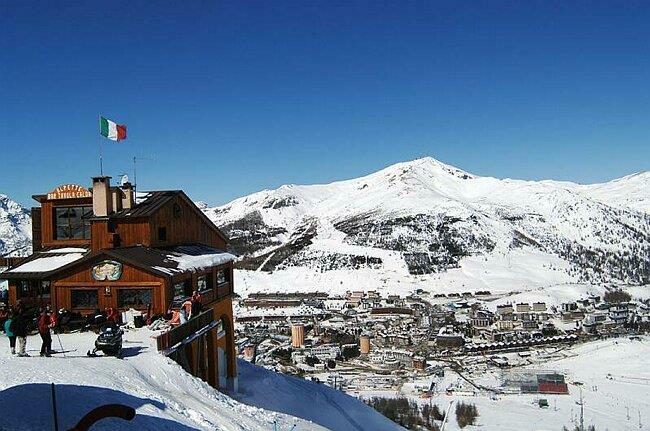 On the French-Italian border lies the huge ski resort of Sestriere - Via Lattea, offering a total of 400 km of runs. 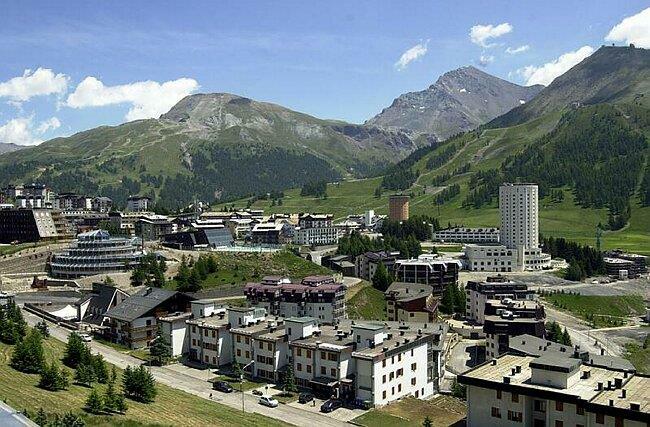 The village of Sestriere, inhabited by about 800 people, is the central point of the whole resort. You can say anything you like about the local “Milky Way”, but not that it’s boring. Although more than half of the local trails are red, they are suitable for both beginners and experienced skiers. Many will enjoy nearly 100 km of black slopes. 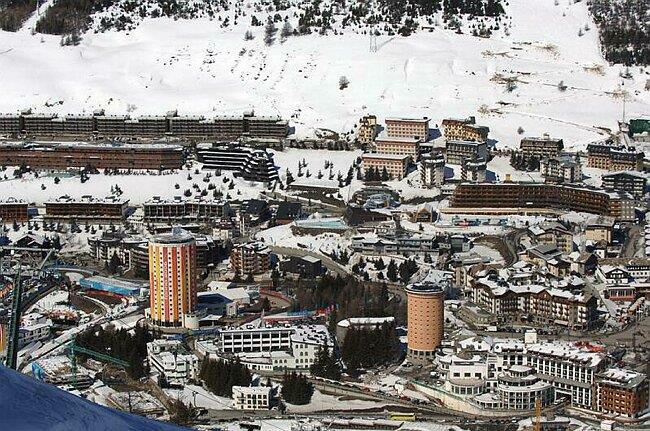 In addition to Sestriere, direct access to ski lifts in Via Lattea is offered by the town of Cesana San Sicario (similar to Sestriere) with its historic center, and Sauze d’Oulx – an old mountain village surrounded by large apartment complexes full of young skiers. 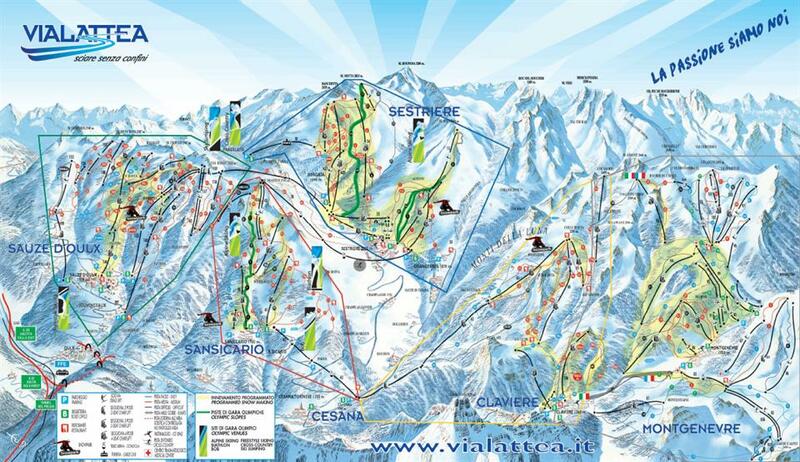 From Sestriere you can go skiing in three directions. Trails leading from the peaks of Mont Sises (2600 m) and Monte Motta (2823 m) belong are steep and demanding. During the last Olympics in Turin, both mountains were venues of Olympic competitions. At the top of Monte Motta is the steepest run in the region – an altitude difference of 300 meters over the length of 0.6 km. Fans of off-piste skiing shall enjoy it here. Secured and controlled off-piste runs lead from both peaks. Opposite the two mountains is Monte Fraiteve (2701 m), from which countless red and blue trails lead in the direction of Sauze d’Oulx and Sansicario. 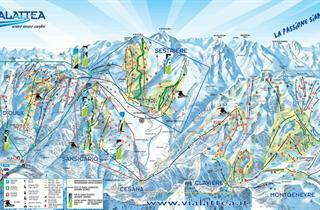 From the latter there are a few lifts going through Cesana to the areas bordering with the French Montgenevre. Lovers of cross-country skiing won’t find too many routes in the area of ​​ Via Lattea. 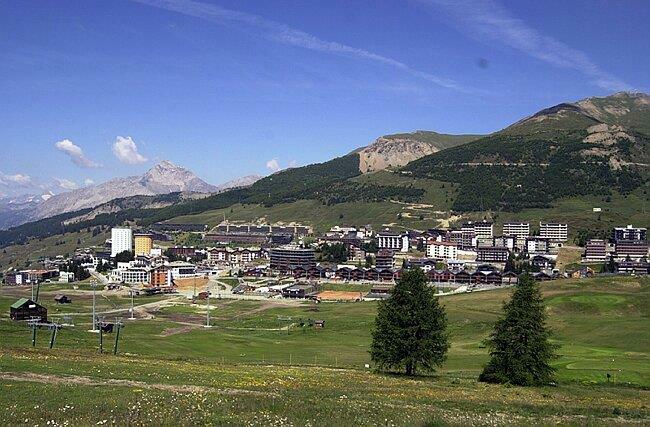 A 15 km long run has been prepared between Claviere and Montgenevre, and a 10-km loop runs around Sestriere. Practically each of the local villages of Sestriere, Claviere, Sansicario, Cesana, Sauze d’Oulx and Pragelato offers direct access to the slopes. 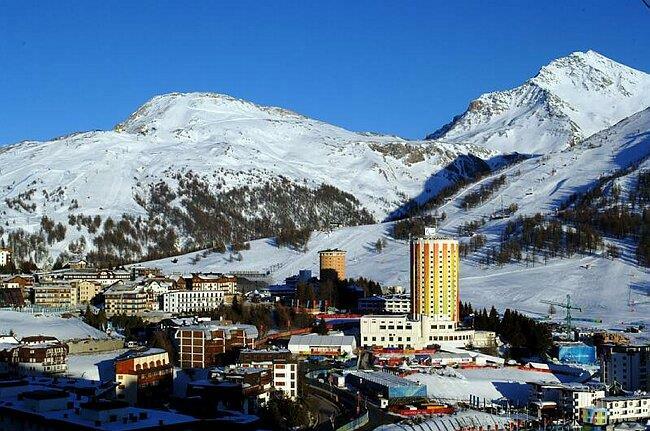 When booking accommodation in Sestriere - Via Lattea, it is recommended to make your selection based upon the prices and attractiveness of offers. We arrived between school holidays so the resort was very quiet, they were lacking fresh snow and so many of the lifts were closed on initially to preserve the snow for the weekends. Fortunately it snowed heavily and so they reopened many more lifts. The valley is excellent for all levels of skier, possible with the valley passto complete all runs. I would go there again for sure. It was said that there were buses between Borgata and Sestriere but thoses buses were very few.